The roof is one of the most important parts of your home. It is the primary barrier between you and anything that can fall out of the sky. 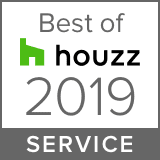 When taken care of, a good roof can last years. Unfortunately, your roof will eventually get damaged, and you will have to decide whether it is time to repair or replace the roof. Repairing your roof is often the go-to solution to maintaining your roof. Other times, repair won’t be enough. 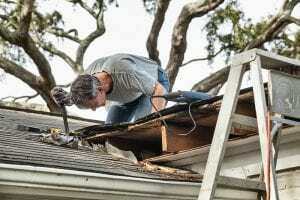 In this article, we’ll teach you to recognize signs of roof damage, and help you assess whether repair or replacement is right for your roof. Roof damage can be obvious or subtle. To recognize the signs of damage, you have to be on the lookout. This can require an inspection of the roof anytime there’s extreme weather, or if your roof is getting old. When inspecting the roof, you need to look at the exterior as well as the interior. Roof damage can happen anywhere. Even on the inside. When checking the outside of the roof, there are a few warning signs to look for. The first is the presence of water spots and discoloration. These are small areas of water damage that warp the shingles and exterior finish. Pay particular attention to the spots where the roof meets the exterior walls. This transition line can become distorted when damaged. When you’re on the roof, look at the gutters. A damaged roof may have little granules clogging the gutters or washing out the downspouts. These granules come from shingles that are either damaged or have been exposed to sunlight for too long. Granules can also be a sign of other roof damage. Look at the shingles themselves. If they are cracked or are cupping, this could mean the shingles are breaking down due to weather or the lack of proper ventilation from the inside. To monitor inside roof damage, pay attention to the attic space and rooms closest to the top of the house. Water damage will begin to warp the ceiling and walls of the rooms below. If you have hardwood floors, you may also start to see drops or puddles of water in the middle of the room. If you find any outside debris inside your home, this can mean there is a hole somewhere in the roof. Look for where the debris may have come from to locate the hole. All of these warning signs mean that you need to take action immediately. Recognizing issues is just the first step. Now, you have to decide whether roof repair or replacement is necessary. In most cases, roof repair is a better option. It can extend the life of your roof without the extra expense of replacing. 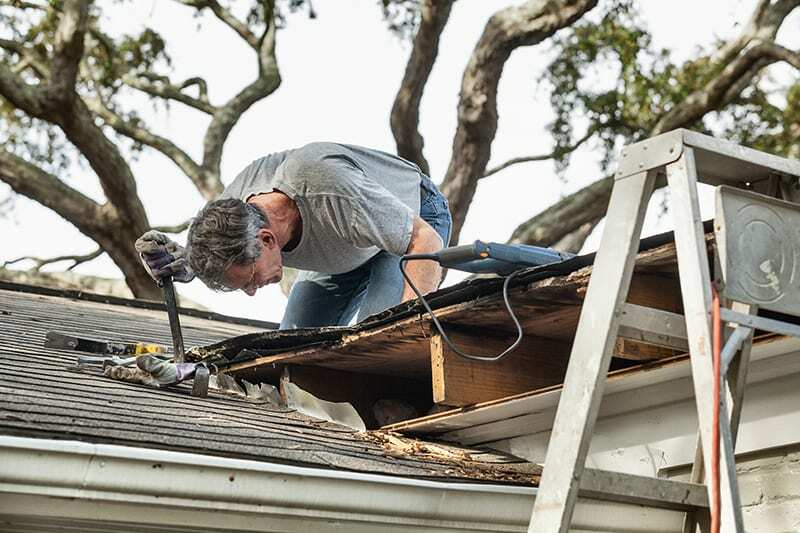 There are a few conditions where roof repair is a good idea. Think about the age of your roof. If your house is young and the roof is somewhat new, chances are you can repair the damage. If the roof is under a 30-year warranty, you can contact the manufacturer for roof repairs. Another thing to consider is the context in which the damage happened. If you know when and how the roof was damaged, it can be easy to determine whether repair is enough. For example, if there was just a major storm, chances are the roof damage was a result of that particular storm. Any damage resulting from weather can be repaired. Usually, the exterior damage will be visible in these cases. Finally, think about the extent of the damage. If it is a small mark, like a missing shingle, you should be able to repair without issue. If the damage is limited to the surface of the roof, you can replace a few shingles to fix the problem. At some point in the life of any roof, replacement is necessary. The older a roof is, the less efficient repairs will be. You can continue to repair a roof but repairs are only going to get more costly. If your roof is old or nearing the end of its original 20 to 30-year warranty, replacement is a safe bet. If you don’t know the age of your roof, you should assume it is beyond the time for roof repair. If the damage to the roof is extensive, you should also consider replacement. Most damage can be repaired up to a certain point. If the damage has started to affect the structural integrity of the roof, however, it’s time to replace. Finally, if you notice a lot of water damage or leakage in the interior of your house, replace the roof immediately. While some damage can be repaired, the time and effort it would take too much. The top priority should be to have a solid roof over your head as soon as possible. Whether roof repair or replacement is necessary, it is important to take action immediately. The longer your roof is left damaged, the more exposed your house is to the elements. For help on roof repair and replacement give us a call for an inspection. We’d love to help you with all your roofing needs!